Mom, dad, son, daughter, and son-in-law pose in front of the ruin at my Malvern portrait studio at Historic Sugartown. Family portraits are always important, especially when the kids are grown and have moved to different parts of the country! 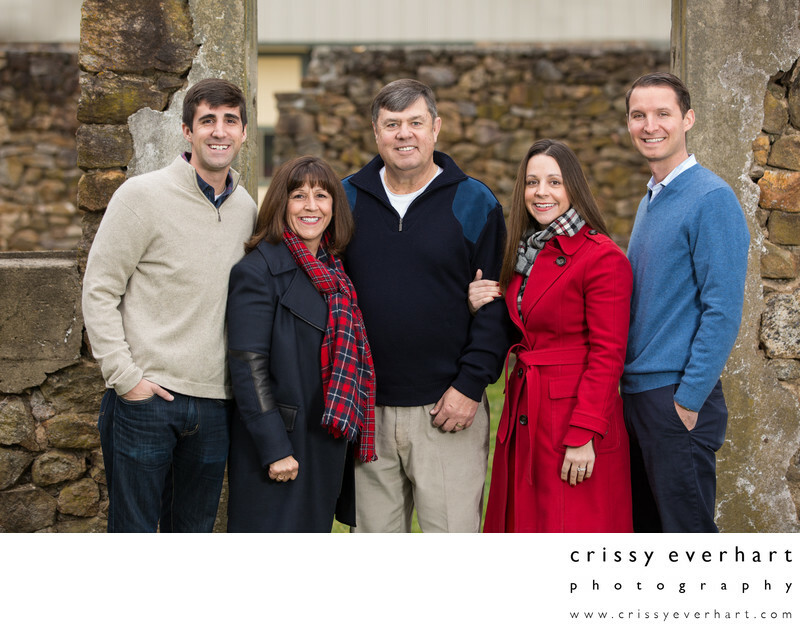 This family was together for Thanksgiving and took advantage of my black friday mini-sessions to update their family portraits.